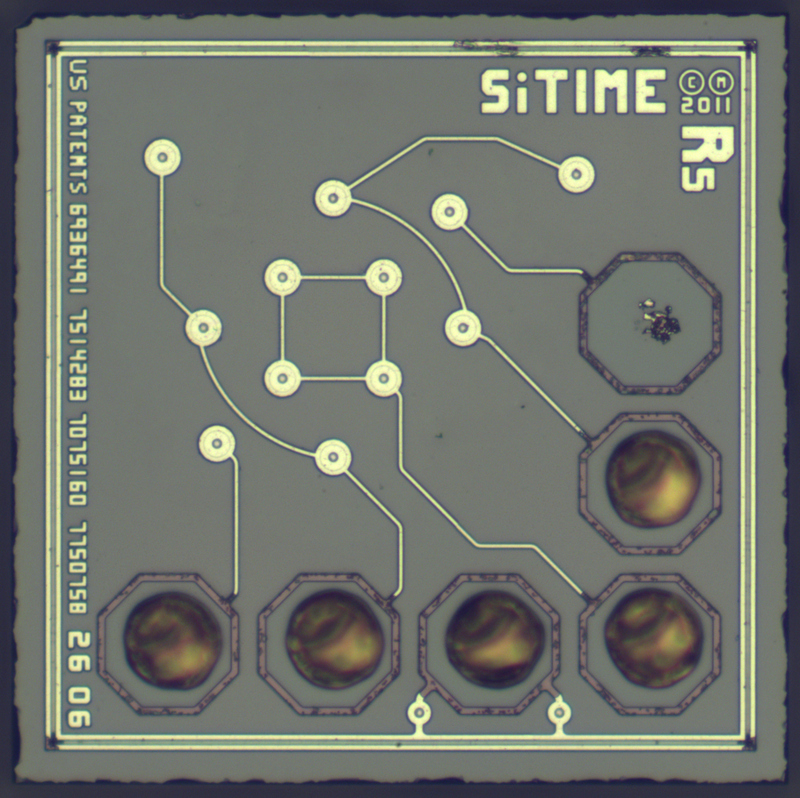 SiTime SiT8008 is a programmable MEMS oscillator reaching quartz precision but with higher reliability and lower g-sensitivity. Also SiTime is one of companies who received investments from Rosnano - Russian high-tech investment fund. Photo of MEMS die puzzled us for quite some time. Is it some sort of integrated SAW/STW resonator? The trick is that to reach maximum Q-factor (up to ~186'000 according to patents) MEMS resonator must operate in vacuum. So they package resonator _inside_ the die in hydrogen atmosphere, then anneal it in vacuum so that hydrogen escapes through silicon. So we see here only a cap with contacts to "buried" MEMS resonator. We were unable to reach the resonator itself without x-ray camera or ion mill. 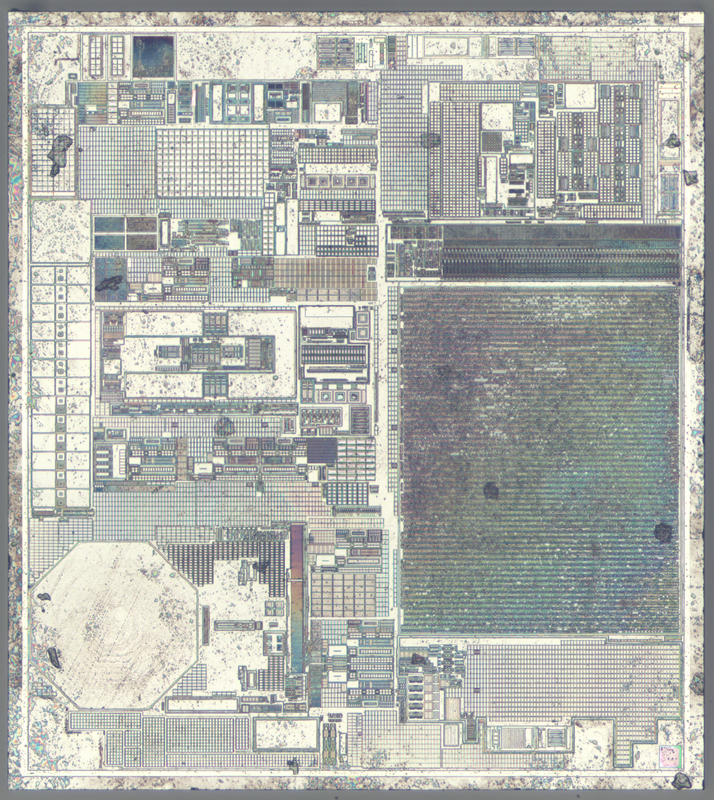 MEMS die size - 457x454 µm. Digital die contains LC PLL and digital logic for one-off frequency programming and temperature compensation. 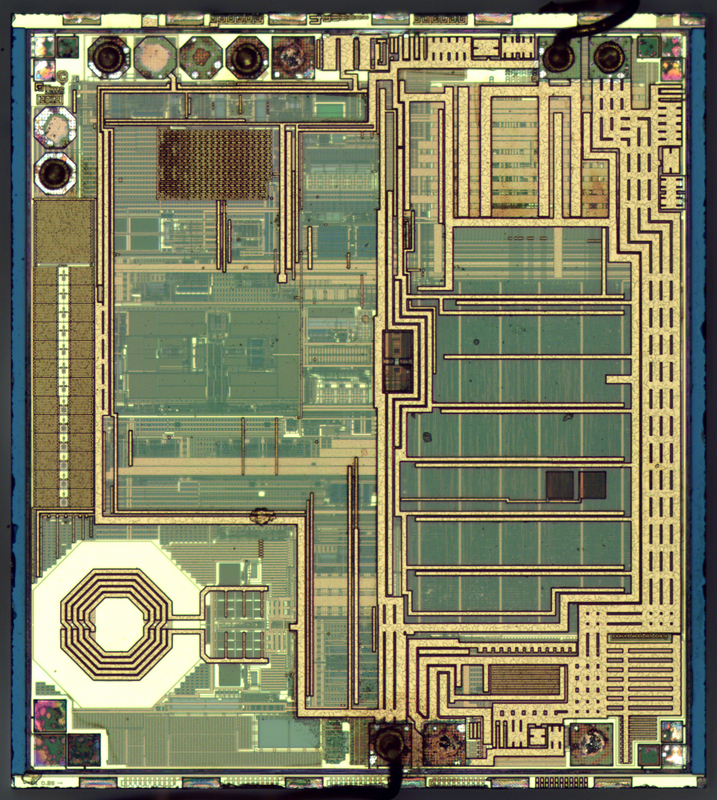 Die size - 1409x1572 µm.